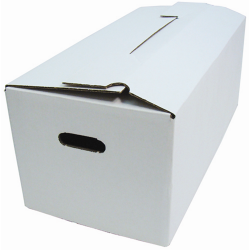 Protecting your Household goods or Commercial products with the highest quality corrugated boxes is one of our passions. 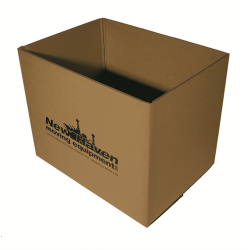 At New Haven, we are very aware of the vast differences in quality that occur in corrugated boxes. 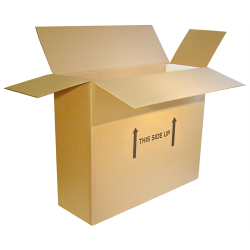 Although moving boxes may appear similar, a great deal of engineering and design goes into the construction of corrugated material and moving boxes. From the quality and strength of the liner board and the rating of the fluting to the amount of recycled material utilized and the impact of the corrugator machinery, there are significant qualitative differences among moving boxes that determine their ability to maintain their integrity and resist crushing, sagging and tearing during the packing, stacking and moving process. This is vital when seeking to protect the contents of each moving box. We are proud of the fact that we have been working with movers for over 105 years and are committed to helping movers achieve the most successful moves possible for their clients. 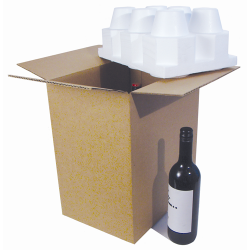 As a result, our engineering team is constantly working to create new corrugated designs (such as our Flat Screen TV Box and Wine Shippers) and to ensure that our moving boxes are state of the art in their construction, design, durability and strength. 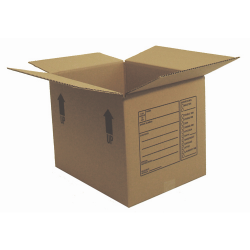 New Haven's cardboard boxes are made to meet or exceed US Military Spec with an ECT specification of 32 - 51 edge crush test, and we offer many boxes that are double to triple wall for the most demanding uses. We manufacture and carry thousands of shipping carton sizes in stock nationwide - with one purpose: to be sure our customers have the right products. 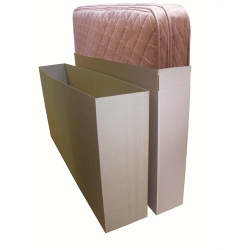 Please go through our various corrugated products listed here on our website, and you will find everything you need from our sturdy and protective Wardrobe Cartons and Dishpacks to our Mirror Cartons, Mattress Boxes tri-wall mini-lift containers, and Speedpacks (perfect for Commercial Moves). If you are a non-mover and looking to buy moving boxes for your own move, you can buy with the assurance that you are purchasing the finest professional grade moving boxes available that will give you the protection you need for your valuables. Call our customer service number for assistance in selecting what you need, watch our educational videos on our Video Page, and consider purchasing one of pre-assembled Moving Kits. 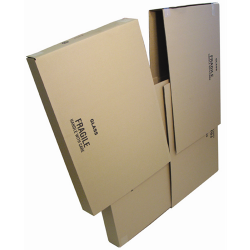 They are an economical alternative to supply just the right amount of moving boxes, and reduce waste or excess packing boxes for your move. If you are a manufacturer looking for a reliable supplier of RSC’s with a national footprint, New Haven is a great choice for you and your company. 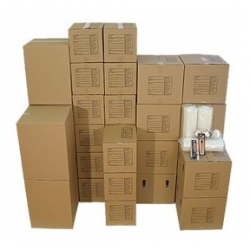 New Haven's corrugated engineering staff is always here to help you be assured that you or your company is specifying the right carton boxes, whether they are to move around the block, or be containerized for around the globe. Moving? 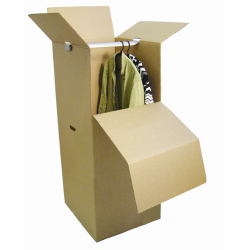 Or always in motion - choose New Haven's cardboard boxes for fit, best use, and quality. For container load pricing, please call us at (800) 742-7237 and ask to speak with one of our Corrugated sales engineers.